Abstract: A radical rethink is necessary around the provision of palliative care. In a world riven by intense religious protectionism, political disunion and cultural variance, it’s hard to imagine a perception or opinion that is shared by all humans. But there is something: an aversion to pain and the fear of death. Yet this is the calling for those providing palliative care, a currently specialised area of medicine that, it seems, requires profound debate, if not for ourselves, then for the sake of our parents. Palliative care is something of a mystery because its meaning is enwrapped in misinterpretation. For most laypersons familiar with the term it refers to that care given to those diagnosed with a life-threatening disease, mainly cancer, and who are at the end of their life. It is something provided by hospices and other organisations when doctors have declared there is nothing further they can do. This interpretation is also shared amongst some state healthcare departments and even various NGOs that offer palliative care. The language they’ve adopted invariably includes an association with death. The UK-based National Council for Palliative Care refers to their role in helping those “approaching the end of life”; the Canadian national health department speaks of it as “addressing different aspects of end-of-life care”; and a spokesperson for our own Department of Health has described palliative care as “offered by hospices and is provided for those who are terminally ill”. Pushed for clarification, Dr Gwyther admits it’s quite a complex discipline and refers to the World Health Organisation’s explanation: An approach that improves the quality of life of patients and their families facing the problem associated with life-threatening illness, through the prevention and relief of suffering by means of early identification and impeccable assessment and treatment of pain and other problems, physical, psychosocial and spiritual. Note that there is no exclusive reference to terminal illness or end-of-life care; but there is to the treatment of pain, the relief of suffering and a holistic approach to other problems that could compound the condition of the patient. Dr Gwyther agrees that the suffering endured by those who are ill cannot be addressed by the use of drugs alone, and that it differs from person to person, “Suffering is identified by the person who is enduring that suffering.” They could be deeply worried about the financial implications of their ill health and about who is going to care for their children while they are sick; perhaps it’s more of an existential issue around the fact that they may be coming to the end of their life. For most people though the perception remains that they only need to request palliative care if they are dying of cancer. However, the majority of patients receiving palliative care in South Africa have been diagnosed not with cancer but with HIV/Aids. In accordance with the WHO guidelines they meet the requirements for palliative care because, even though they may be on antiretrovirals and therefore fighting the disease and may not be approaching the end of their life, they still have deep psychological, financial and spiritual issues that are contributing to their suffering. Given the levels of HIV/Aids infection in South Africa, the discussion around palliative care takes a dramatic turn on the matter of who should provide it, who should regulate it and who should train healthcare providers. For Dr Browde the answer is straightforward: “What is required is that all doctors and nurses are trained to use the ethos and skills of palliative care with every patient with whom they come into contact.” Unfortunately, says Dr Gwyther, the care and compassion that inspires people to study medicine is often “taught out of them”. Nonetheless, there are some lights on the horizon. 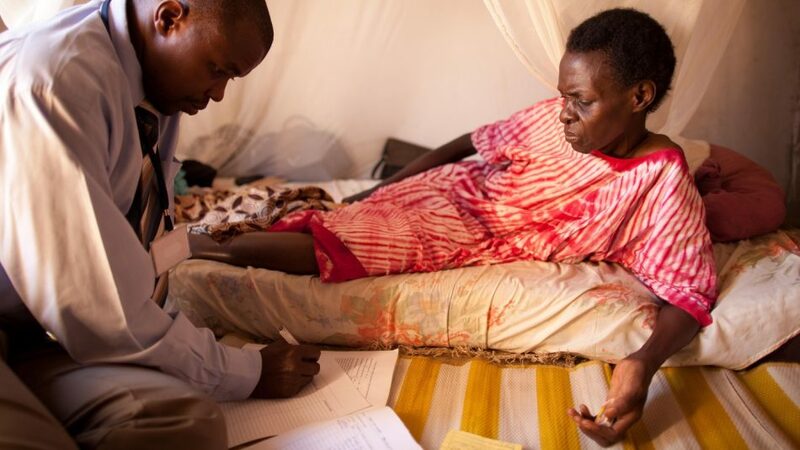 The language of palliative care can be found in the national strategic plan for HIV/AIDS, the National Cancer Control Programme and in the state’s approach to non-communicable diseases. The term is also included in the National Patients Health Charter. One of the biggest challenges facing the Government, given the current state of healthcare provision, and the scope of the need for palliative care, is that a key to its provision remains in the hands of community health clinics and home-based care organisations. This makes sense to Dr Gwyther who believes the most appropriate place for palliative care is in a patient’s home. However, this is not the case if that person has no access to electricity, running water or proper sanitation. However it is provided, it’s clear that palliative care needs to be regulated. There are many NGOs and home-care based organisations that claim to provide palliative care, but are not accredited. Proper regulation would protect not only the patient but also the referring clinic or physician. For those lucky enough to be covered by private health insurance, provision for palliative care exists, but it seems geared towards cancer or terminal illness. Milton Streak, the Principal Officer of Discovery Health says that members who have been diagnosed with cancer, and who are registered on the scheme’s disease management programme, also have access to palliative treatment – described as “radiotherapy, chemotherapy and pain management” – as part of their comprehensive oncology benefits. Momentum Health’s director of marketing, Damian McHugh, says they regard palliative care as “non-curative” – that which relieves pain and other symptoms – and therefore, in the case of members diagnosed with cancer, benefits are afforded for pain medication.